Earlier this week, Russell Crowe declared that the disparity between the number of roles for men and women over the age of 40 in Hollywood mostly stems from, “the woman who at 40, 45, 48, still wants to play the ingenue, and can’t understand why she’s not being cast as the 21-year-old.” Unsurprisingly, Crowe’s female colleagues are now weighing in. To help clarify the issue, The A.V. Club decided to compare the ages of award-winning roles for men and women. To date, 23 women age 40 or older have won an Academy Award. By comparison, 56 men have earned the award while in that age bracket. 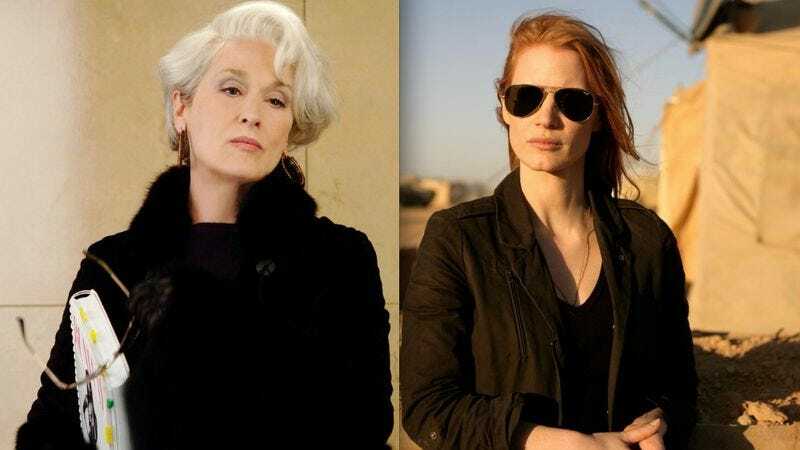 So—at least when it comes to award winning material for older actors—the gender disparity is concrete.